The number of business aviation movements in Russia has grown more than threefold over the past seven years, from 50,000 in 2005 to the expected 160,000 for all of 2012. These figures were quoted by Valery Ochirov, President of the Russian United Business Aviation Association (RUBAA), at the opening of the JetExpo 2012 exhibition in Moscow this September. 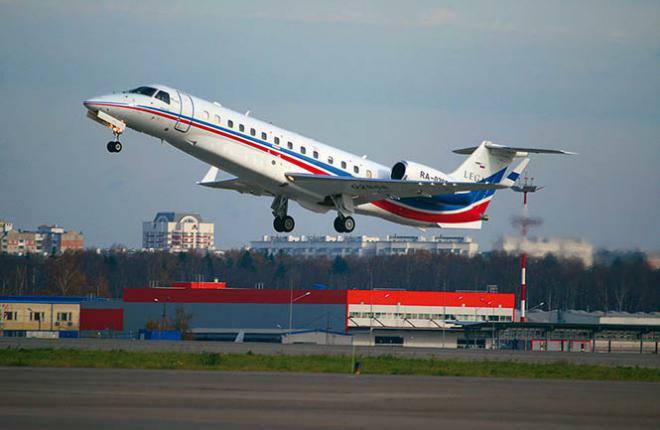 Foreign bizav manufacturers also note the continuing development of the Russian market. According to the latest Hawker Beechcraft Corporation (HBC) research, Russia features in four of the top 10 country pairs for the highest 2011 growth rate in business flights across Europe, the Middle East, and Africa. Flights between Russia and Latvia top the list with 475% growth last year, followed by bizav operations between Russia and the Middle East (up 122.2%). Business flights between Russia and the UK grew by 14% in 2011, coming seventh in the HBC rating and followed by Russia-Switzerland operations (up 13.3%). "Russia undoubtedly remains one of the fastest growing and most interesting markets," says Sean McGeough, HBC president, Europe, Middle East, Africa and Asia Pacific. "Its recent accession of the WTO will contribute to the liberalization of Russia’s trade relations with other countries, stimulating its economy and potentially prompting further growth in demand for business aviation services."